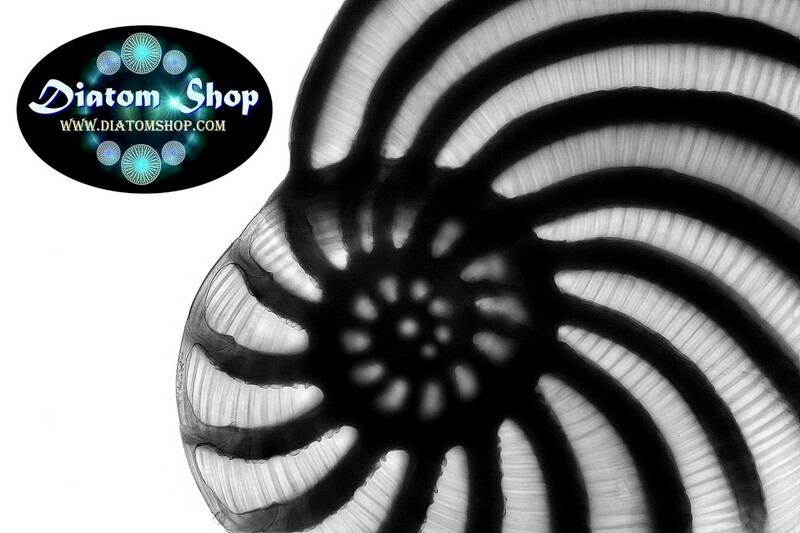 Diatom Shop offers several types of microscope slides in which Foraminifera are mounted in Canada balsam or dry. 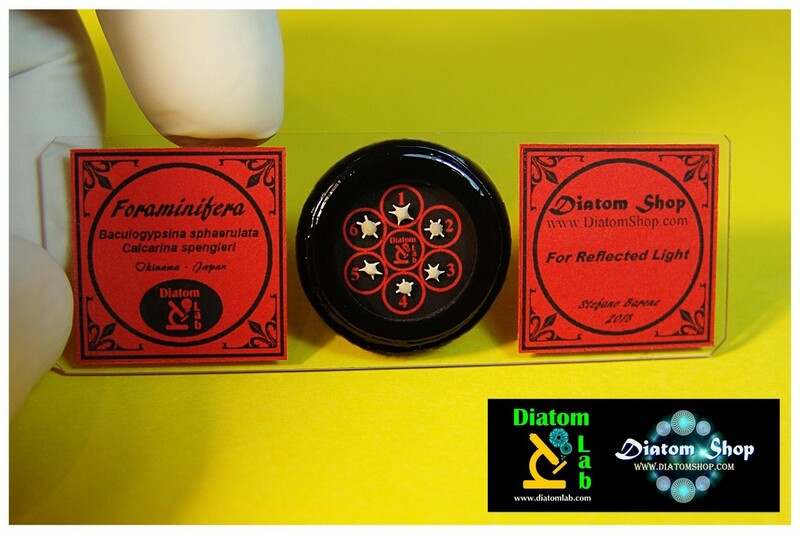 Dry mounts are indicated for reflected light, while microscope slides mounted in Canada balsam can be observed both in transmitted and reflected light (using a stereomicroscope or a light microscope). Foraminifera are members of a phylum of amoeboid protists characterized by streaming granular ectoplasm that is used for catching food. They typically produce a test, or shell, which can have either one or multiple chambers, some becoming elaborate and amazing in structure. 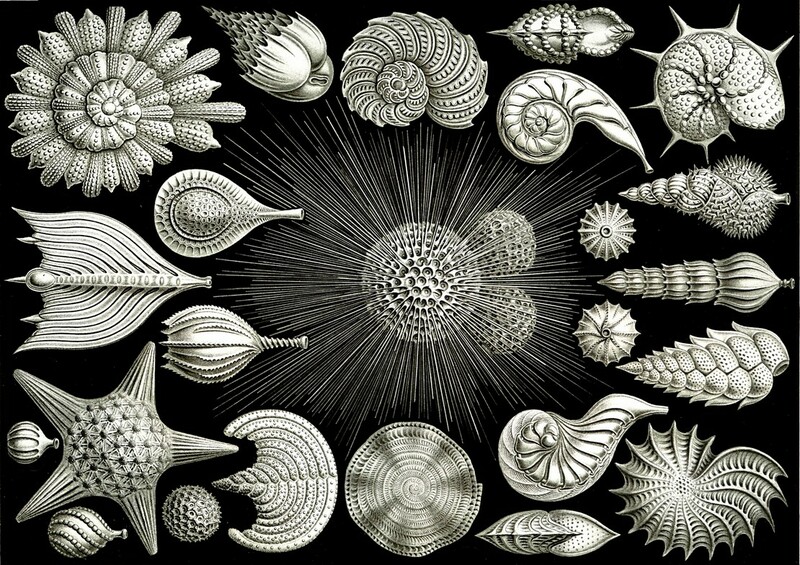 The majority of Foraminifera live on or within the seafloor sediment.